Surprise, there is really no recipe. Trim the sprouts and removed any blemished leaves, then slice the sprouts in half. 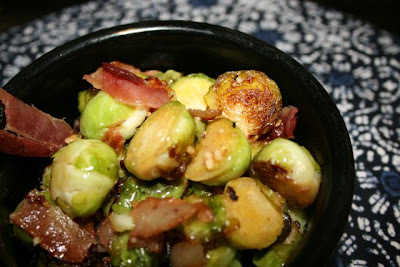 Cook two slices of bacon until crisp, remove from skillet, saute the sprouts in the bacon grease, add one teaspoon minced garlic, sprinkle lightly with salt . Continue cooking on medium heat until sprouts are lightly caramelized. 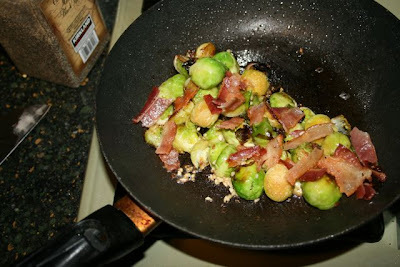 Toss crumbled bacon on the sprouts. Everything is better with bacon. Thanks for the recipe.